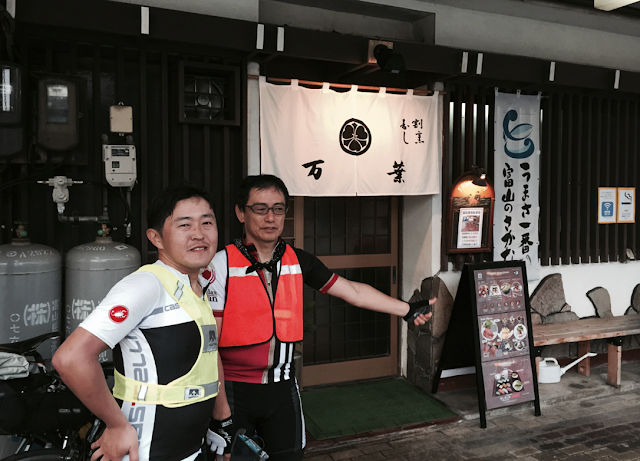 Since the SR600 Fuji does not count toward the standard 200/300/400/600 series needed to qualify for PBP, and since Jerome's travel schedule kept him out of a few planned 600 km rides in May and early June, today Jerome is riding a Chubu Audax-sponsored 600km brevet to complete his PBP qualifications. Tanaka-san is also participating as　実走スタッフ-- I guess Chubu Audax staff who get to ride the event. 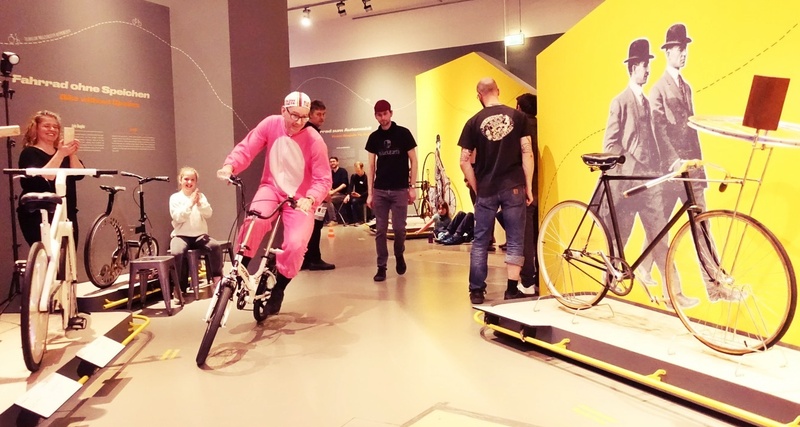 His Facebook note mentions that "other than [Litt] the entire  Fleche team is participating and everyone is hanging in there." Bonne route, Jerome, Tanaka-san, Kozakai-san and Higuchi-san. Makes me wish I was there! And I look forward to being reunited at PBP. 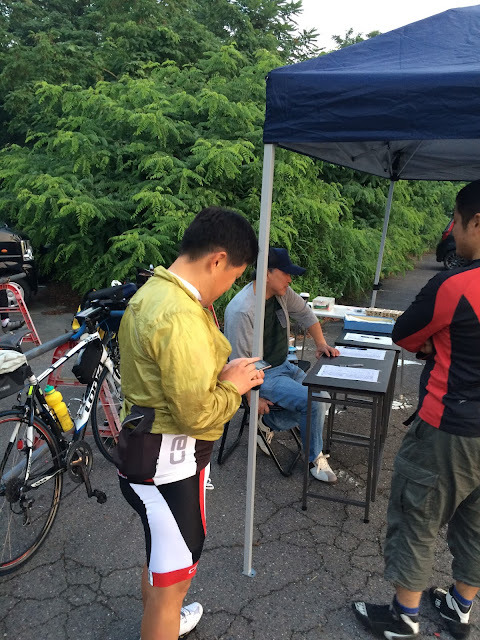 8AM, early checkpoint. 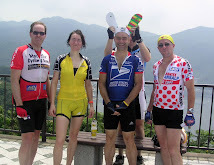 Note the Audax Japan PBP 2015 jersey on the approaching rider. Lots of castles in the Aichi/Gifu area. Ground zero in the Oda/Toyotomi/Tokugawa transitions. A later PC, during the Noon hour. Jerome's Look and yellow water bottle on the left side. At this blistering pace, as long as the weather does not get too hot, I think Jerome is going to set a record for his 600 km time. 30 hours? Not impossible by any means on this course. The group stopped at a Kanzawa "Kenko Land" for a decent sleep, and suffered through some heat on the second day. 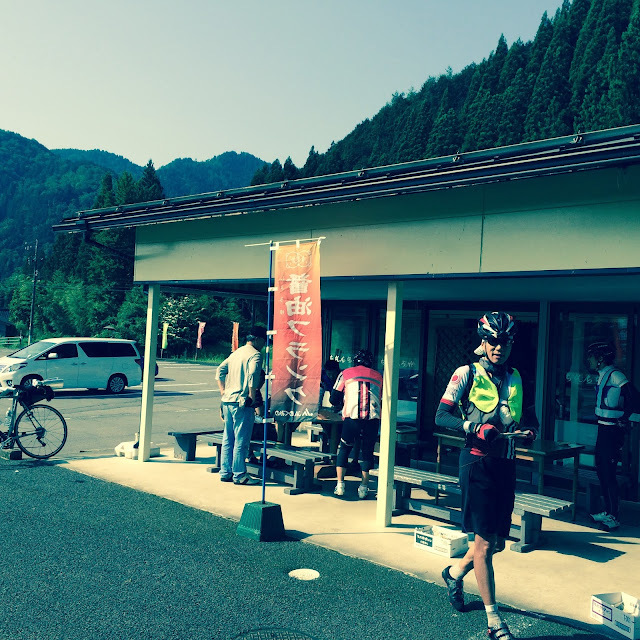 In the end, Jerome finished together with Messrs. Tanaka, Kozakai and Higuchi, in around 37:40. 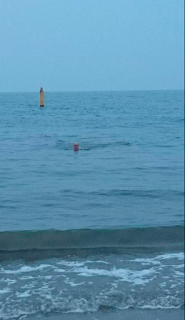 A leisurely time, but one that allowed plenty of leeway in case of difficulty and time for good food, some sleep and a swim in the ocean! 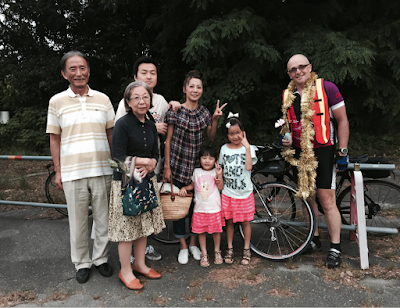 En route to the start, Jerome reports that he stopped to visit his homestay family from many decades past. Little did they realize when they accepted a homestay member that it would be a relationship of this length! Based on the garlands around his neck, he seems welcomed home as the hero returned from battle. Rain Legs -- They Work!